Comcast is deeply committed to Washington, where our 4,800 employees serve more than 1.5 million residential and business customers throughout our state footprint. Comcast is Washington’s leading provider of XFINITY® video, high-speed Internet, “smart home” and phone services. Our X1 entertainment platform — with its innovative voice remote and Netflix integration — is changing the way our customers experience TV. Our Comcast Business team offers Ethernet, Internet, WiFi, Voice, TV and Managed Solutions to help businesses transform with technology. Over the past seven years, Comcast has invested $2.2 billion in Washington to build, enhance and maintain our systems, networks and infrastructure. As a result, we have been able to continuously increase the features, capacity, reliability and performance we offer our customers. Last year alone, Comcast directly invested more than $1 billion in Washington to help create jobs and power businesses of all sizes; driving economic growth and opportunity across the state. We are also committed to making the Internet accessible to as many families in Washington as possible. In fact, Washington is among the top 10 states in the nation to help close the digital divide with Comcast’s Internet Essentials program. Approximately 184,000 Washingtonians, have signed up for Internet Essentials as of late 2017. We leverage our media and technology assets across Comcast NBCUniversal to benefit the communities where our employees, customers and partners live, work, play and serve. In 2017, we provided more than $6.3 million in cash and in-kind contributions to local organizations that share our commitment to improving communities. At a Corporate level, Comcast NBCUniversal has supported 3,800 non-profit partner organizations across the country. Comcast and NBCUniversal have long recognized that veteran hires bring exceptional strengths to the business and actively recruit prospective employees with military backgrounds. More than 15,000 veterans, National Guard and Reserve members, and military spouses have been haired across Comcast NBCUniversal since 2010, and we have invested more than $369 million annually in payroll, benefits and training for our Washington workforce. Former members of the military are just one of the diverse talent pools we draw from and we have employee resource groups (ERGs) dedicated to Veterans as well as Women, Asian Pacific Islanders, Hispanics and the LGBTQ community. These ERGs offer mentoring programs and networking opportunities to help employees grow professionally and personally. We take care of nearly 1 million Wi-Fi hotspots and more than 33,000 miles of fiber and coaxial cable lines built deep into Washington’s urban and rural neighborhoods. Comcast maintains 173 franchises, serving 144 communities across the state. Comcast has invested billions of dollars in its network, locally and nationally, to meet consumer demand, and it has now increased speeds 17 times in the last 17 years, delivering speeds in most of Washington State from 15 Mbps up to 2 Gbps for residential customers and up to 10 Gbps for business customers. In addition to increasing internet speeds, Comcast continues to offer the fastest in-home WiFi gateway, and most Xfinity Internet customers can enjoy complimentary access to more than 19 million Xfinity WiFi hotspots nationwide—including nearly 1 million here in Washington state. 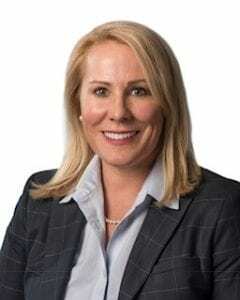 Amy Lynch is Regional Vice President of Comcast’s Washington region. In addition to overseeing 2,000 employees, Lynch is responsible for technical operations, engineering, business operations, marketing, external affairs, sales and the overall financial health of the Washington region. Lynch has more than 20 years of experience in the telecommunications, media and technology industry and has been with Comcast for 15 years. She has been named to Cablefax Magazine’s Top 100 Regional Power Players list for the last eight years and was named one of the San Francisco Business Times’ Most Influential Women. Most recently, Lynch served as the Vice President of Engineering Operations for Comcast’s West Division, where her portfolio included the design and deployment of next-generation network infrastructure. Previously, Lynch served as the Regional Vice President of Technical Operations for the California region, leading her team of more than 2,500 in the successful rollout and support of new products including X1, XFINITY Home Security, cloud-based services and advanced business services. Lynch is a New England native and holds a bachelor’s degree from the University of Connecticut in addition to leadership certificates from Dartmouth, Tuck School of Business and Harvard. Lynch sits on the Washington Roundtable Board of Directors and is an active member of Women in Technology International, Society of Cable Television Engineers and Women in Cable Telecommunications. As an involved member of her community, Lynch has sat on boards inclusive of K-12 and Junior Achievement. She resides in Kirkland, Wash., with her husband. Comcast Corporation (Nasdaq: CMCSA) is a global media and technology company with two primary businesses, Comcast Cable and NBCUniversal. Comcast Cable is one of the nation’s largest video, high-speed internet and phone providers to residential customers under the XFINITY brand and also provides these services to businesses. NBCUniversal operates news, entertainment and sports cable networks, the NBC and Telemundo broadcast networks, television production operations, television station groups, Universal Pictures and Universal Parks and Resorts. In 2018, Comcast NBCUniversal was ranked #7 on LinkedIn’s annual Top 10 Companies list, and ranked #68 on Fortune Magazine’s Top 100 Companies to Work For list. Visit www.comcastcorporation.com for more information.